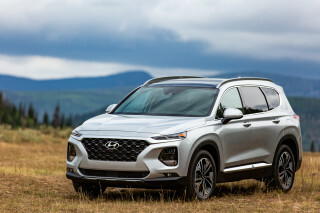 Shoppers in the market for a big, heavy-hauling SUV loaded with luxury accoutrements have never been more spoiled for choice. The savvy buyer might look at the 2018 Chevrolet Suburban as the budget-friendly choice—if any hulking sport ‘ute can be a bargain at its $51,000 base price—but a well-equipped ‘Burb with the Premier trim level runs just $4,000 less than a 2018 GMC Yukon XL Denali. That $4,000 buys more than just a chrome grille. The Yukon Denali is available exclusively with a 6.2-liter V-8 engine and a 10-speed automatic transmission. 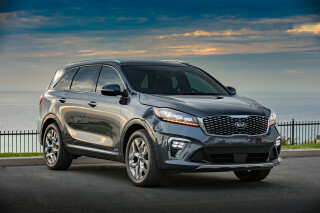 That’s a new combination for 2018, and it may be worth the cost of entry on its own—especially amortized over the course of a lease or financing payment. 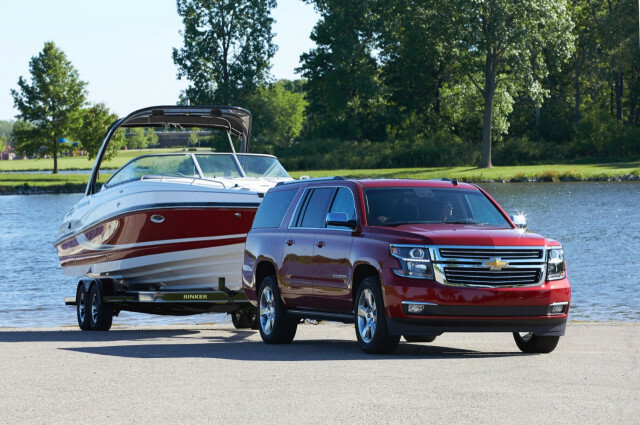 We rate the Suburban at a 6.8 and the Yukon at a 6.6, but that's a look at the entire lineup. Here, we're looking at two specific models. How do they stack up? Read on. First, the similarities. Both SUVs are built on the same assembly line in Arlington, Texas (because where else?). They have three rows of seating with room for eight and their gear. They’re both available in more pedestrian configurations with cloth upholstery and even a bench seat up front, but the vast majority sold are swathed in leather for thousands more. 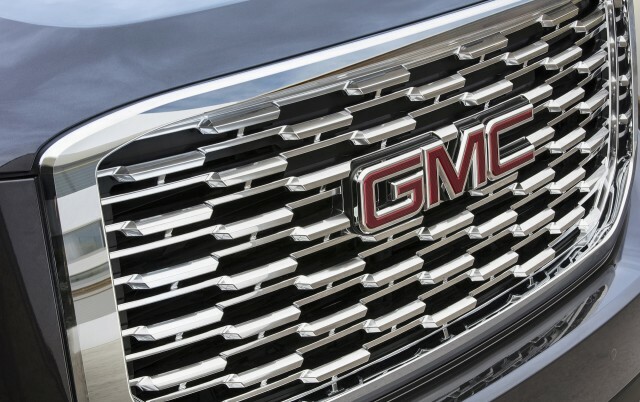 In fact, GMC says that nearly a third of its overall sales—and more than three-quarters of Yukons delivered—feature its upscale Denali trim package. 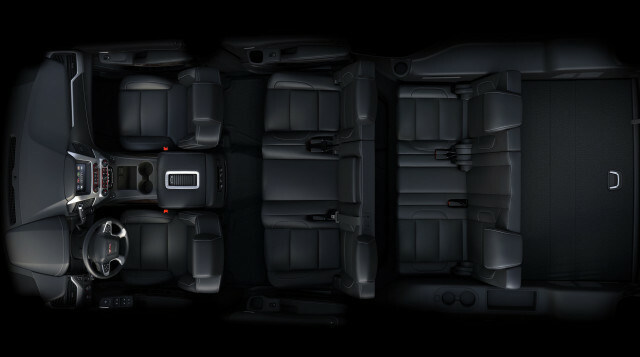 Both SUVs are available in a choice of big (Chevy Tahoe and GMC Yukon) and extra-big (Suburban and Yukon XL) configurations. 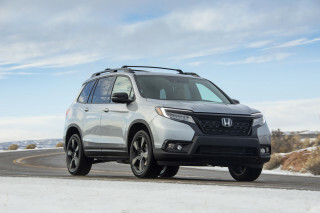 Regardless of badge and size—the Suburban and Yukon XL are treated to a hefty 20-inch overall length increase—these large, traditional SUVs are roomy and comfortable performers. 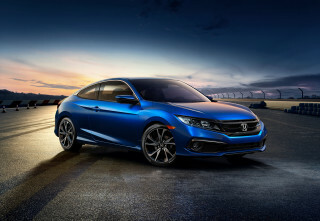 Their car-like dashboards differ little between brands, with good quality materials, convenient controls, and excellent infotainment systems with standard Apple CarPlay and Android Auto. 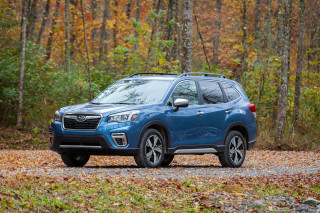 March through the options list and it’s easy to top $65,000 with add-ons like Bose speakers, air conditioned front seats, and four-wheel drive. That’s where this comparison starts to get interesting. 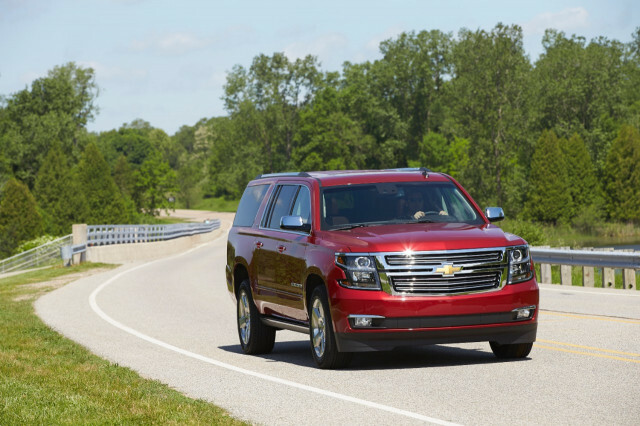 The Suburban’s range-topping Premier trim level runs about $69,000 with four-wheel drive. A Yukon XL Denali comes in at $73,000. 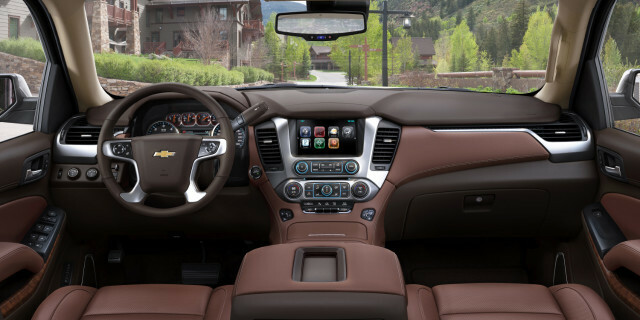 A quick run down the standard and optional equipment list reveals two notable differences: the Suburban comes with automatic emergency braking and adaptive cruise control, features GMC charges extra for, and the Chevy uses a smaller 5.3-liter V-8 engine paired to a 6-speed automatic transmission. The Suburban’s V-8 is smooth, quiet, and reasonably fuel-efficient. It’s rated at 355 horsepower and 383 pound-feet of torque and with four-wheel drive, the Suburban is pegged at 15 mpg city, 22 highway, 18 combined on the EPA’s fuel economy test. We’ve seen even thriftier fuel consumption figures than that thanks in part to a cylinder deactivation system that lets the engine run on just half of its cylinders in gentle cruising. The 6-speed automatic fires off quick shifts and never hesitates to pop down a cog or two for highway passing. 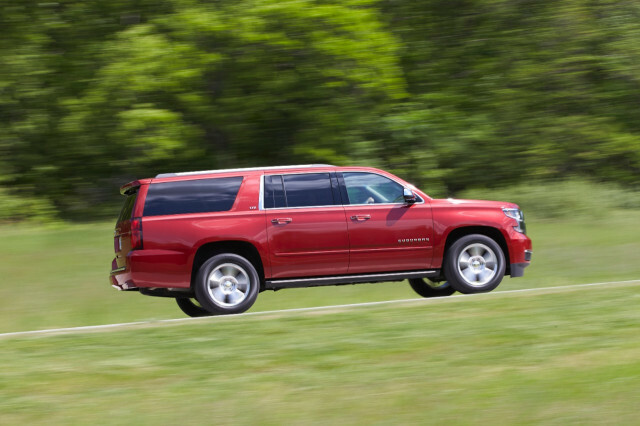 The Suburban isn’t fast, but it’s no slouch. 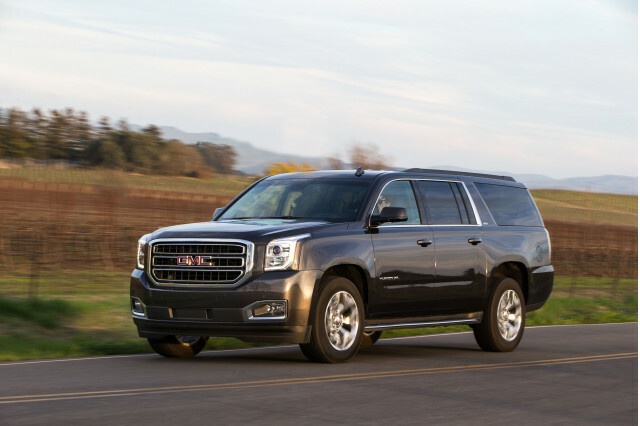 A properly equipped Suburban is rated to tow 8,000 pounds with four-wheel drive—that’s the same figure you’ll find in the spec sheet for the Yukon XL Denali despite its 65 hp and 77 lb-ft of torque boost to 420 hp and 460 lb-ft. Yet the Denali’s bigger V-8 provides more confidence-inspiring passing and towing, especially up grades and at elevation. 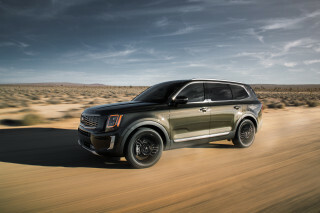 It’s strong and sonorous, too, cranking out a muscle car-era exhaust note. The 10-speed automatic provides more ratios, but we found it to feel confused at times—perhaps as if there were simply too many cogs to choose from. 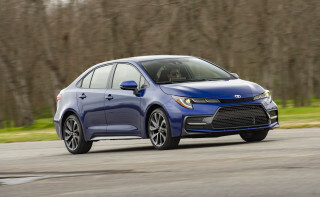 In terms of fuel efficiency, the 10-speed hardly helps. The Yukon XL Denali comes in at a less-than-miserly 14/21/16 mpg with four-wheel drive. 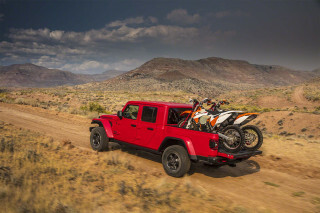 We saw about 21 mpg on the highway, but that figure took a big dive in urban use—and the 6.2-liter V-8 is designed to run on pricier premium fuel rather than the regular unleaded used in the 5.3-liter V-8. In terms of value, the Suburban certainly edges ahead. We strongly recommend automatic emergency braking and find it a head-scratcher that GMC doesn’t include it as standard on its flagship, while Chevy fits it to LT and Premier trim levels from the factory. On the Yukon XL Denali, it’s bundled with adaptive cruise control for a palatable but still somewhat insulting $895. 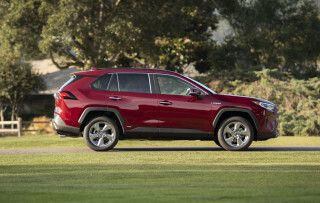 That pushes the value equation even more in the Suburban Premier’s favor. Ultimately, it may come down to which dealership offers the better deal. 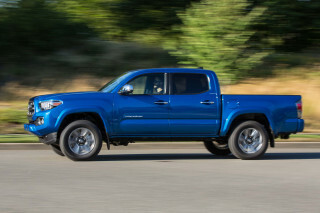 For those who routinely hitch up a trailer to their big SUVs, the GMC is the better bet here. If that’s not part of your regular weekend plans, though, the Chevy’s thriftier V-8 should prove just fine. 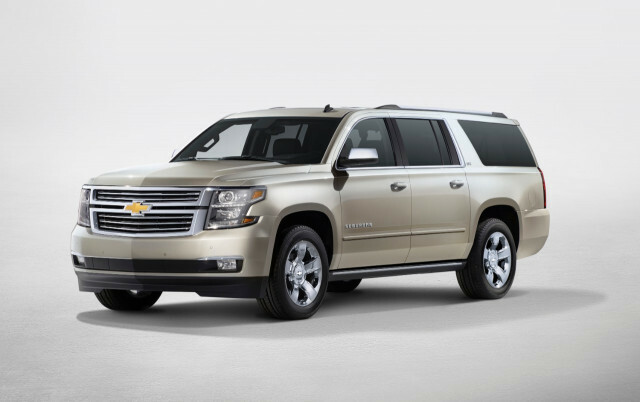 The 2018 Chevrolet Suburban is the ultimate weekend road-trip vehicle ready to haul nine people, their luggage, and even an 8,300 pound trailer. Try that in a crossover. 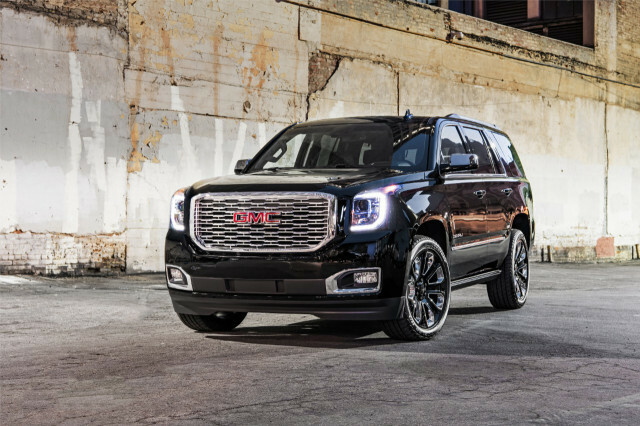 The 2018 GMC Yukon is an old-school SUV updated for the 21st century. The 2018 Chevrolet Suburban looks best painted in Secret Service-grade black paint. The boxy 2018 GMC Yukon’s exterior gives way to a curvy, car-like dashboard. The 2018 Chevrolet Suburban boasts a strong V-8 engine and a solid feel over the road. Ample power from either V-8 engine provides the 2018 GMC Yukon strong acceleration. 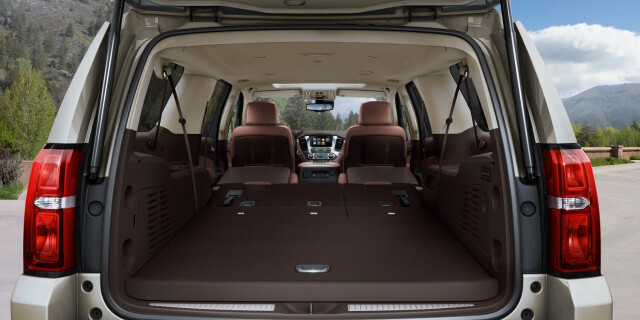 Few vehicles offer as much room for passengers and their gear as the 2018 Chevrolet Suburban. The 2018 GMC Yukon offers tremendous cargo- and passenger-hauling capabilities. The 2018 Chevrolet Suburban has many safety features, but it hasn’t been fully crash-tested. The 2018 GMC Yukon offers a wide array of collision-avoiding tech, but it hasn’t been thoroughly crash-tested. The 2018 Chevrolet Suburban is well-equipped and offers lots of extra options, as it should for its hefty price of admission. 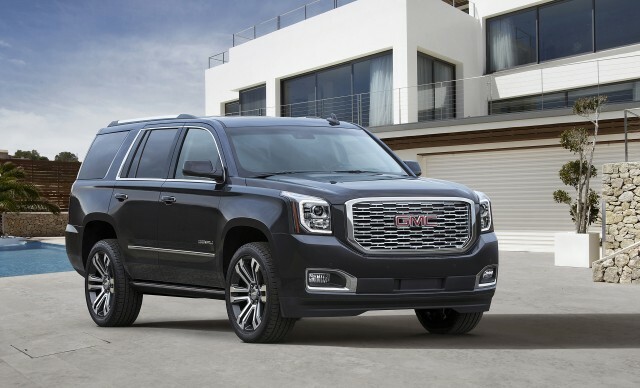 Although it can get expensive, the 2018 GMC Yukon is well-equipped and offers lots of optional extras. Thanks to its advanced engine, the 2018 Chevrolet Suburban isn’t as thirsty as you might expect. You’re probably not here for the fuel economy, but the 2018 GMC Yukon is thriftier than you might expect. We have sent your request for price quotes on the 2018 Chevrolet Suburban and 2018 GMC Yukon to the dealers you requested. They should be in touch shortly. Your request for a fast, free price quote on a 2018 Chevrolet Suburban and 2018 GMC Yukon is in process. The CarsDirect Dealer(s) listed below will contact you shortly to discuss your request and to provide a quote.